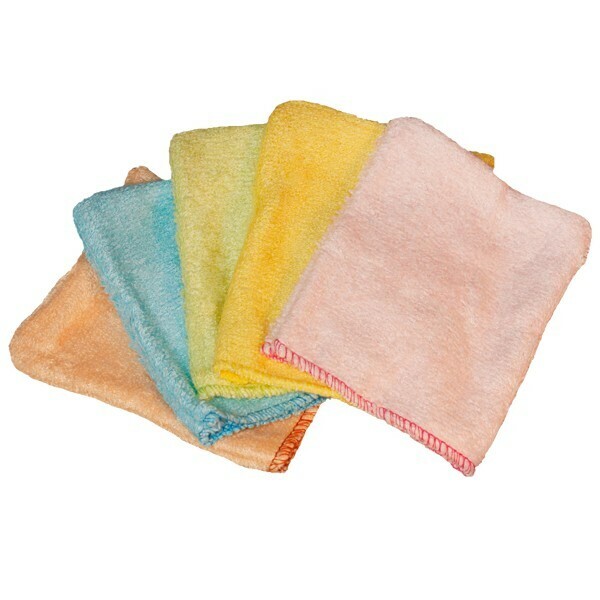 This set of 5 mini wash gloves is especially adapted for little hands! Ideal for children aged between 3 and 6, made from natural bamboo fibres, practical, economical and kinder to the user! - Packaging is certified wood from sustainably managed forests. - Washable products by Les Tendances d'Emma should be used between 300 and 500 times.
. Can be tumble dried gently. Do not compress the square cleansers in their storage net. Les Tendances d'Emma provides, ecological, economical and practical products, from hair towels to absorbant baby changing mats. Products made with natural fibres such as bamboo! Les Tendances d'Emma are disposal & ecological but also washable products that can be used over and over again, almost like synthetic products but more environmentally friendly and kinder to the user. All the Les Tendances d'Emma products are made in France, ecological products that are produced within the EU! Wash, reduce waste and save a little with the Les Tendances d'Emma products that can be used several hundred times before disposal, as much as 300 to 500 times! Discover the Les Tendances d'Emma range of wipes, cleansing squares, wash-gloves and and many more products on the Greenweez website... All products are supplied with a storage box and a net for the washing machine!